Replacing your missing teeth is vitally important to your appearance and overall health. Your teeth support your jawbone structure and keep your facial tissues from sinking in and creating an aged look. 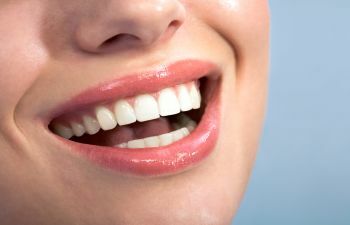 In addition to aesthetics, you need a complete set of teeth to maintain proper nutrition. A soft foods diet is often rich in carbohydrates and low in fiber and protein. Therefore, to protect patients from these drastic drawbacks of missing teeth, we proudly offer full and partial dentures at our Montevallo practice. Dr. Shunnarah pursues the latest denture options in restorative dentistry. This includes denture sets that provide optimal comfort and allow you to eat, chew and speak with confidence. Whether you want to create the smile of your dreams or regain the smile you once had, your dentures can be customized to meet your goals. Our dentures and other restorative dentistry services are provided in a warm, friendly office environment. While full dentures can replace an entire arch of upper or lower teeth, a partial denture is designed to replace multiple missing teeth in the presence of existing healthy teeth. Partials are used when dental implants or bridgework are not advisable. At Montevallo Family Dentistry, we help patients understand the importance of replacing just a few missing teeth, even if they are in the back of your mouth. Missing teeth cause adjacent teeth to shift out of position. This creates vulnerable areas for decay and bite misalignment in some cases. Our removable partial dentures are made of high-grade materials that seamlessly blend with your existing teeth. Want to learn more about our full and partial denture options? Contact Montevallo Family Dentistry today. We pride ourselves on our ability to provide state-of-the-art dentistry through all stages of life. To help you afford your custom dentures, please ask us about our insurance acceptance and flexible financing plans.